Tom Gulitti: Carolina Hurricanes coach Rod Brind’Amour said that they are hopeful that defenseman Calvin de Haan (upper-body) is able to play at some point this series. He didn’t seem optimistic that de Haan would be ready for Game 2 on Saturday. 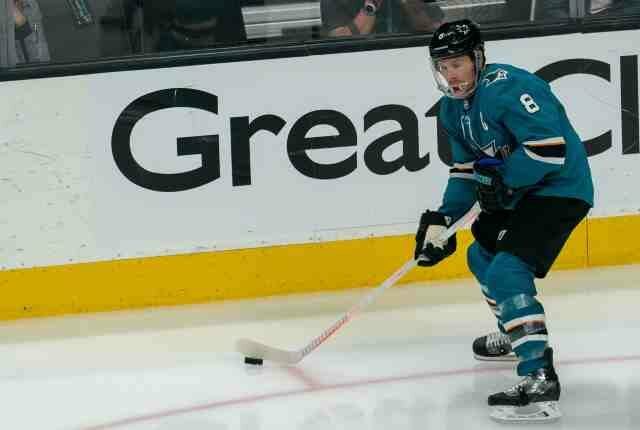 Paul Gackle: Pavelski missed practice yesterday to visit the dentist. Ken Wiebe: Winnipeg Jets forward Brandon Tanev is progressing from this finger/hand injury and it wouldn’t be a surprise if he’s ready for Game 2. Sam Carchidi of the Philadelphia Inquirer: Philadelphia Flyers defenseman Shayne Gostisbehere said that he dealt with a knee issue basically all season. He blocked a shot back on October 22nd. John Shannon: Todd McLellan is in Buffalo to watch his son play and will meet with the Buffalo Sabres. McLellan met with the LA Kings in Vancouver on Monday. Igor Eronko: New York Islanders prospect Anatoli Golyshev signed an extension with his KHL team after not hearing from the Islanders for two months. The day after he signed the contract the Islanders called him saying that they had tickets and everything set up for him. They added that they didn’t want to disturb him while he was still in the playoffs. Igor Eronko: Golyshev said if the Islanders still need him in two years he’ll be ready to join them. He added that he would have signed with them this season if they had contacted him earlier. Isabelle Khurshudyan: The Washington Capitals signed Nic Dowd to a three-year contract with an AAV of $750,000.